Get pumped for a challenging descent into a lush rainforest canyon that will stimulate your adrenal glands to the max. 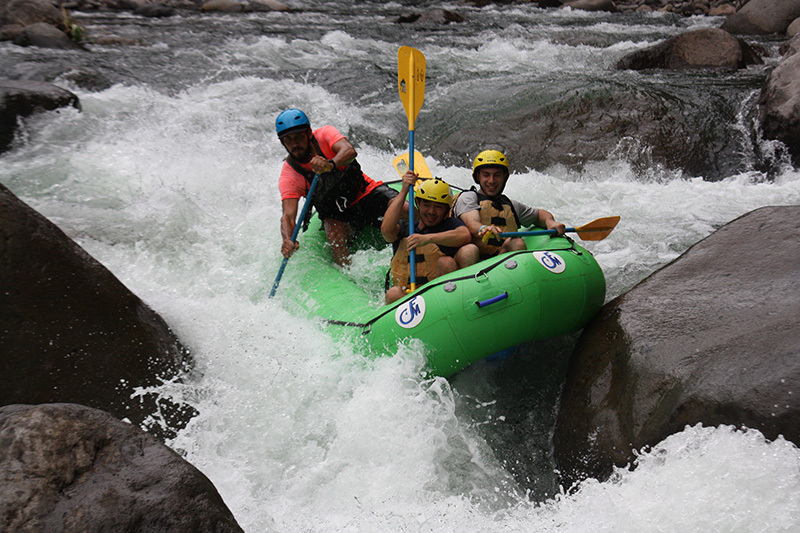 We are the only rafting company that offers the opportunity to run this exhilarating and scenic stretch of the sections of the Balsa, river (the sections depend about the wáter Level). To add to the originality of this trip we will stop in El Salto. This is nature’s equivalent of a water park, complete with waterfalls, pools of water and a rope swing.Afterwards, we will proceed to the Upper Balsa, a stretch that is considered one of the most technically challenging commercially run rapids in Costa Rica. Upon arrival at the river we will gear you up with a life jacket, helmet and paddle and then brief you with a full safety orientation talk. Then it will be time to take off down the rapids! You will be accompanied by expert river guides and safety kayakers. There will be two breaks from the heart pounding rapids to refuel. The first stop will be along the river, where we will enjoy some fresh fruit. The second stop will be for an authentic Costa Rican lunch. You’ll also learn about the growing, harvesting, and production of chocolate, medicinal plants, fruits and sugar cane. Finally, as you learn about sugar cane in Costa Rica your guide will help you extract juice from the cane in a traditional fashion, and you’ll get to enjoy a glass of pure sugar cane juice. A sweet ending to a sweet tour! Strong physical condition and a thirst for adventure is required. Rafters must be 18 years of age to participate in this trip and must have previously done Class IV rafting. Tour Includes: Transportation, towels, a bilingual river guide, authentic Costa Rican Organic Farm Lunch and fresh fruit. 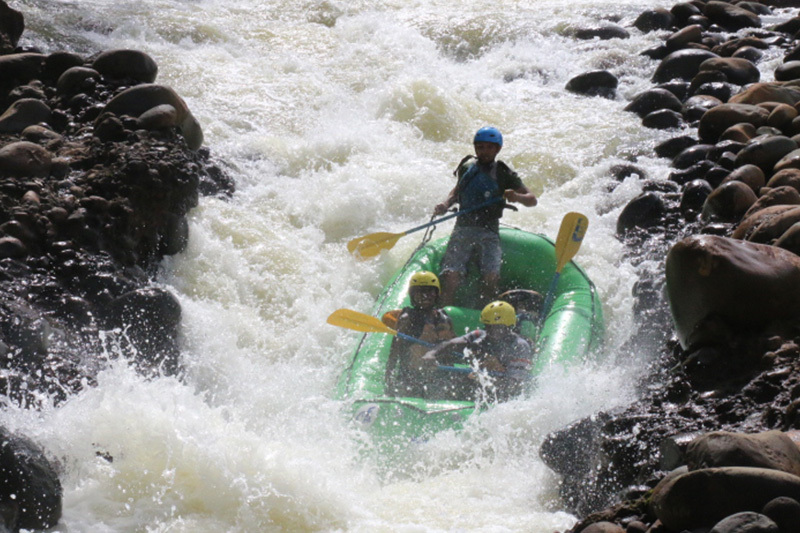 Approximate river time: 2 to 2 1/2 hours of pure adrenaline covering 7 miles of river. What to bring: Simple dry clothing (like shorts and a t-shirt), swimsuit, sunscreen, shoes that will stay on your feet (sport sandals or water shoes are recommended), and a change of clothing. Tour Departure Time: 8:30 a.m.